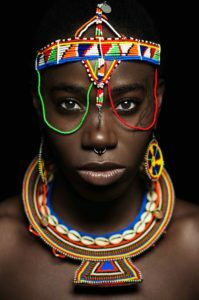 From addressing the United Nations and touring the world as a dubpoet to being named a Canadian Poet of Honour and being nominated for nine Dora Awards in theatre (and winning three), D’bi.Young Anitafrika has carved her own niche in the world of Canadian arts. She will be the latest author to appear at the long-running Open Word Readings & Ideas series, presented by the Department of Writing and Open Space. A queer Black feminist artist, Anitafrika is the founding Artistic Director Emeritus of the Watah Theatre and the founding Creative Director of the Anitafrika Retreat Centre. She has curated international residencies for artists in the Caribbean, North/South America, Africa and Europe, and her own form of “Biomyth Monodrama” focuses on solo shows that use music, poetry, dance and drama to chronicle the stories of global peoples and their quests for self-actualization. The award-winning African-Jamaican-Canadian actor, playwright and performance artist is the published author of nine plays, three collections of poetry, six dub poetry albums, a comic book and a deck of instructional cards containing her Anitafrika Method. Following her reading at Open Space, Writing professor David Leach will conduct a live interview. Watch her deliver this powerful performance at the HERstory in Black event at CBC Toronto during Black History Month in Feburary 2018. D’bi.Young Anitafrika reads from 7pm Tuesday, Nov 6, at Open Space, 510 Fort Street. The public is also welcome at these other free in-class appearances on Monday, Nov 5: from 10-11:20am in UVic’s Cornett 108, and from 2:30-3:50pm in UVic’s ECS 125.